I gotta tell you - One2One Network is really spoiling me with great music as of late! This is my 2nd music review with them in a short amount of time! Washington state-bred Brandi Carlile was inspired to pick up the guitar and learned to play after seeing the Indigo Girls in concert at Lilith Fair. Her last album, The Story, debuted on Billboard's Top 200, peaking at #2 on iTunes and was named one of VH1's "You Oughta Know" artists in addition to having many of her songs featured on various episodes of "Grey's Anatomy". If you like KT Tunstall, Indigo Girls, Missy Higgins and Rachael Yamagata then you will LOVE Brandi Carlile. She's toured with the likes of Ray Lamontagne, Dave Mathews Band and Sheryl Crow, who raved about Brandi's live performances, "She has the most amazing voice I may have ever heard. Soulful. Country. Perfect in every way and propelled by taste." 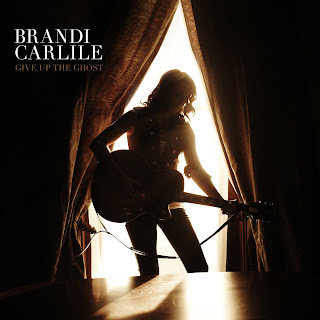 Extraordinary singer-songwriter Brandi is a One2One Network darling and critics are praising her artistry, Paste Magazine calls her the "best voice in indie rock" and her childhood idol Elton John duets with her on her new album, Give Up The Ghost which was released by Columbia Records on October 6th. “Give Up The Ghost Traveling Show” kicked off September 10th in Salt Lake City, UT. The tour is stopping at legendary venues across the country. Brandi donates $1 from every ticket sale to The Looking Out Foundation a helping hand foundation she created to aid the many causes she's passionate about. 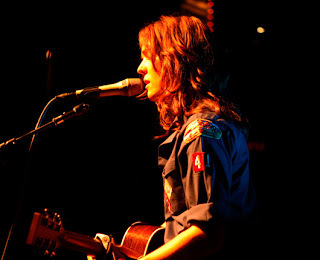 Go to BrandiCarlile.com to buy your tickets now! Oh. My. Word. I never would have chosen this artist if I was on the hunt for some new music. Mainly because I've never heard of her. But, once I saw that if I loved Sheryl Crow, I would love Brandi, I thought, "What the heck? Let's see what this lady has got!" I was completely blown away - like shivers up the spine - you know when music makes you feel like that? Give Up The Ghost did that to me! I'm loving this CD and I am looking forward to more works by Brandi Carlile! This will be one CD I'll go for many times over! Be sure to become a fan of Brandi's on Facebook. Thanks to One2One Network for providing me with a digital download of this CD. Disclaimer: The opinions expressed here are my opinions and yours may vary. I express my honest thoughts and opinions on any product I review and receiving a product will NEVER influence my thoughts on a particular product.